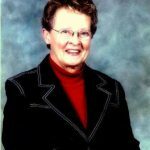 A nursing scholarship has been formed in memory of Patricia Porter a Registered Nurse in her working life and a tireless advocate of seniors for the past 25 years. Through generous donations from friends, family and community the Pat Porter Active Living Centre is able to offer a $1,000 scholarship for a minimum of the next five years. Students must have completed at least one year of a Bachelor of Nursing Program to be eligible for this scholarship. Preference will be to students from or living in Southeastern Manitoba who have exhibited a strong volunteer commitment to seniors. Scholarships will be awarded in January each year with a formal presentation at the Pat Porter Active Living Centre annual fundraising banquet. ELIGIBILITY: – Students currently enrolled in 2nd year of the Bachelor of Nursing Program. – Preference will be given to those students from or living in Southeastern Manitoba. – Preference will be given to those students with strong volunteer commitment to seniors. APPLICATION PACKAGE: – Please submit a cover letter including your career goals as well as your past and current link to Southeastern Manitoba. – Please submit a one page summary of your volunteer experience, work experience and extracurricular activities. – Please submit a copy of your most recent transcript. – Applications will be reviewed in December of each year. Please note that the successful student will be asked to attend a presentation ceremony in Steinbach in January or February. The scholarship may not be awarded if an eligible candidate does not apply. The funds will then be held over for a subsequent year.